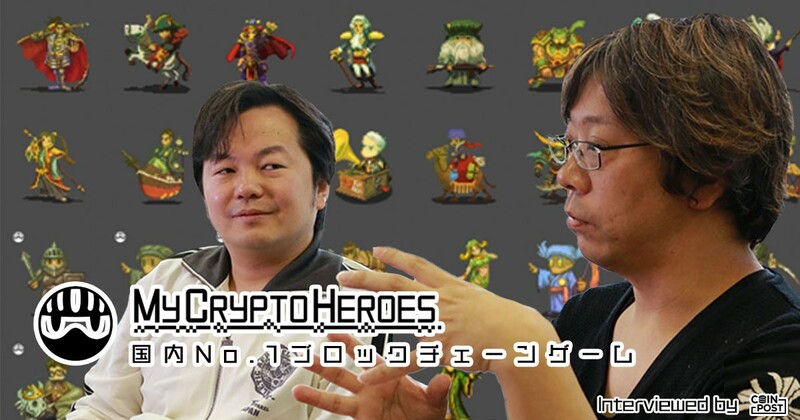 In this developer interview of one of the world’s biggest blockchain games, My Crypto Heroes, we discuss the project’s origin, future plans and more. 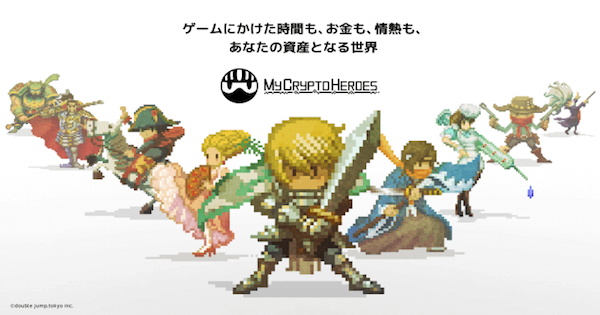 Japan’s leading crypto media publication CoinPost has interviewed the developer of domestic blockchain game “My Crypto Heroes” which utilizes the ETH digital currency. The interview focuses on the most attractive part of the “Shi-No-Ko-Sho Ecosystem”, behind the story of “LAND” where their cloud sales just began, and the market expansion of blockchain games in domestic and overseas. Can you please let us know the roots of My Crypto Heroes’ birth and also the motivation behind the blockchain game? Initially, I (Mr. Ueno CEO/CTO) was working as a graduate at “Nomura Research Institute” which was a great company. Also, before that, I was working at a company where we developed and distributed the social game called “MobCast”. When I joined MobCast, we were distributing web browser social games through “Garakei” (aka flip phone or feature phone) and I was responsible for the platform development where we collect various games together. 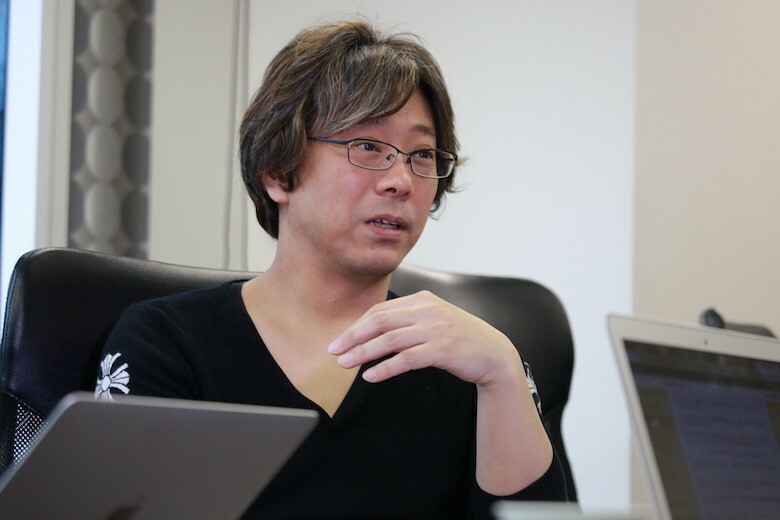 However, once smartphones came out, I was shifted to develop native application games. The system of social games has a central business model call “Gacha” (users can play the game for free but pay money for additional items) where developers aim to encourage users to spend a lot of time and money. However, user will lose all their money and time once the game service ends. Looking at many situations like this, I started thinking of ways to make improvements. While I couldn’t find a business model that is more interesting and well managed without using the Gacha system in social games, I started considering blockchain technology. Integrating blockchain technology into games creates a new model, allowing users to have their own “assets” where users can preserve their time and money even if the game service ends. This was the reason why I established “double.jump.tokyo”, which is a specialized company for blockchain games. Most of the blockchain games made previously struggled, so we initially assumed the number of users would be quite small. Today, our users are over 30,000 which is more than we originally expected. Moreover, our DAU (Daily Active Users) keep increasing steadily as well, making for positive growth. While we developed “First Heroes Presale -> Cloud Sales -> General Sales (After the app launch)”, we initially decided that players who joined our game from the uncertainty periods, such as Presale and Cloud sales, should be valued, not just as users, but as stakeholders. These players work together with management to support this game as partners. This leads to community-driven development which is totally different from the social games concept. The design of this game is significantly different from any existing social games. One of the typical examples is the “concept of asset”. The basic idea of asset in social games is prone to inflation. This means the strength and quantity of assets will inflate unlimitedly as users grow. However, we designed the complete opposite of this concept. From the beginning, we deliberately planned to have a limited supply of the most valuable assets. Our design is such that when users increase, low rank assets will be produced while the value of ultimate assets will be maintained due to limited supply. By doing so, the value of assets will be preserved forever in the system. Also in regards to the increase of active users, the first thing we targeted was users who have experience in trading cryptocurrency and were already involved in dApps. We thought many people who enjoy current social games may find it difficult to understand the concept of blockchain games. It wasn’t a realistic idea that “we” as developers teach new users who don’t have any experience in crypto or dApps. So our approach has been to attract new users after building a community of strong influencers and also by using media support. To put it simply, I believe TV commercials have made a great impact. Back then, the recognition of blockchain games was very low, where some games were even viewed suspiciously. Some people were also victims of scams. Our goal behind the TV commercial was to let people know that a blockchain game is not anything suspicious or shady but is a legitimate service that people can enjoy. So in this sense, our goal has been achieved well. Today, what is missing in the blockchain game industry and what do you think is necessary for the future? Well firstly, one of the benefits of blockchain games is the ability to exchange assets with various people via the blockchain. This is not limited to Ethereum, but the problem is that we don’t have many platforms to interact with each other. If we have more blockchain games and are able to interact among them, we think the platform would grow in a better way. It would also be very interesting if more blockchain games are developed by other developers. Hopefully one day, Blockchain game from Japan will become popular at the mainstream level. In addition to that, many people who are unfamiliar with Cryptocurrency find it difficult to start with blockchain games because they need to obtain Ether and are also afraid of technical issues such as installation and sending Ether to correct wallet addresses and such. If these aspects become easier, I think we will see user growth. Up until now we have done our best to take our game global, but somethings are not in our hands. Meanwhile, My Crypto Heroes was designed with a global scale and we have developed our world vision by using the motif of “World History Heroes”. We have also designed the graphics and sound to be like the 8-bit retro games of the past, so people can relive the good old days of Japanese games! With MCH we wanted people our age (30 – 40) to look back at their childhood gaming passion and relive that through our game. But, you know, mostly males like these kinds of pixel art games, so it will be difficult for us to expand our userbase without having titles which attract females, or more casual games. Currently we are pretty much waiting on the industry to grow further, and we believe MCH has opened the door for other blockchain games. Now the next step is for developers to take it further and help grow this industry together. To read the entire interview please visit CoinPost.